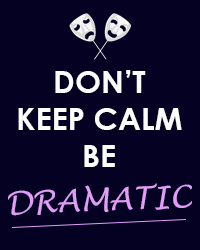 Come join the Drama Club which is open to adults and university students, with or without acting experience. It consists of miming, improvising, and acting out published works of theater, such as sketches and plays. Meetings take place at the library twice a month (except during school holidays) on Wednesday evenings from 6 to 7:30 p.m. Please attend regularly on the following dates: April 3rd, April 24th, May 15th, May 22nd, June 5th and June 12th.